Absolutely not! But the rumor, as outrageous as it seems, has become the center of a local attraction in the village of Shingo, Aomori Prefecture. The legend here is that Jesus traveled to Japan when he was a youth and learned Japanese ways and customs. He later returned to Israel in his 30's where his teaching was rejected. Before the Romans could crucify him, his identical twin brother Isukiri snuk in and "casually took his place on the cross" [so says the sign at the location]. Afterwards, Jesus returned to Japan and spent his life in Shingo as a rice farmer. He lived until 106, raising a family and doing good deeds locally. He was buried in the Shingo village where a mound with a cross marks his grave. There is much more to this silly story if you google for it and can bear the details. One such detail is that the Jewish star takes it shape from a five-point flower that grows wild on the hills of Shingo. The grave attraction even has a small museum where some Hebrew and Japanese artifacts, writings and records are displayed. There is also an annual festival in June that centers around the grave and features traditional Japanese dance. When I first heard this story of Jesus' grave in Shingo, Japan my initial reactions moved from surprise to outrage to sadness and back again. As a Christian, it outrages me to see legends sprinkled with twisted ideas about my Savior take the place of God's revealed truth in Scripture. 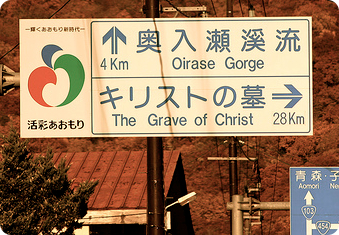 As a missionary, it saddens me that Japan has put Jesus in the grave. In many ways it is symptomatic of the historic response of Japan to Jesus. Christ is dead to them. Ninety-nine percent of Japanese have no hope of a living Savior that offers strength for life, and life eternal. They have stopped at Good Friday and left Jesus in the grave as a nation. Lest we be too judgmental, though, let's remember that we also can live as believers as if Christ were dead. Although He is alive forevermore, we can live as if he is dead in our lives. We can forget his resurrection power to transform us, his resurrection promise to secure our future, and his resurrection strength to guide and carry us. We, too, can get stuck at the grave and never move forward to the empty tomb. It's the empty tomb that encourages me to a more optimistic missiological outlook for Japan. Because He lives, there is hope for this people. Japan can move toward the empty tomb and experience the real Easter joy God desires. God is doing that one by one today. Perhaps He will do so in greater numbers tomorrow. So even though the Shingo Village seems to have exploited the cross and Christ for personal gain, I see in their foolishness one positive note. 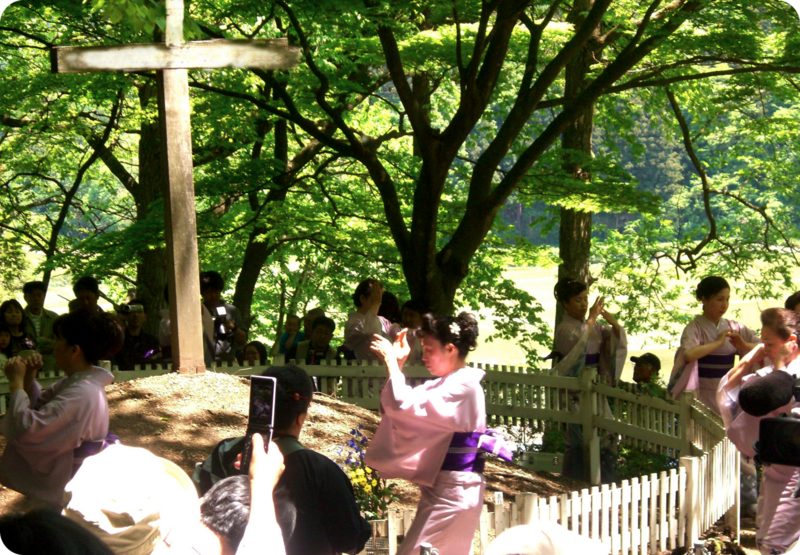 In some way these Japanese are trying to make a connection with Jesus, trying to understand His story through their own. As gut-wrenching as their attempt is, it gives some place to start with what the Bible has to say. Perhaps the Apostle Paul's Mars Hill address to the Athenians (Acts 17) is a fitting example of how to lead them to truth from there. Because Christ is risen, we move forward in declaring his message in Japan. By faith, I see Shingo, and the nation of Japan, celebrating not around the grave of Christ, but at the great message of the empty tomb. He is risen! He is risen indeed!